should be looking at, and optimizing their campaigns based on. Today we will take a look at these metrics, and how Sendlane™ can help you analyze and optimize to get the best performance out of your emails. There are two different kinds of bounces, soft bounces and hard bounces. A soft bounce could be due to a temporary server issue or something else that prevents the email from being delivered, but once the problem is resolved the email will be sent through or you can try re-sending. A hard bounce would result from an email address that is no longer valid, meaning that you should immediately remove any hard bounce email addresses from your list. Sending to too many hard bounces can hurt an email sender’s reputation. CTR gives an email marketer a very quick and easy look at initial performance in their campaign without having to dive in too deep. It allows a glance at how current efforts are performing, and also gives a good look at performance over time. Additionally, looking at CTR can be a great way to run various test with your email marketing, whether it’s copy, creative, headline, etc. If you are utilizing a well-maintained and properly used email list, unsubscribe ratesshould be no more than one percent at the absolute most. If you find that more than one percent of your list are unsubscribing from your emails, it is time to look at how emails are being collected, what types of creative/messaging you are using and whether your list should be cleaned up. Once a user has clicked through your email the next step is generally for them to convert on whatever you are offering – whether that is filling out a lead generation form, purchasing a product or anything else that you have set as a goal. Conversion rate is one of the most important KPIs to look at in regard to the goals you have set for your campaign, and can give you a very good idea of where optimizations can be made if you are falling short of goals (or want to continue to push performance forward). 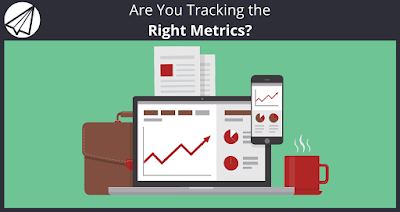 Just like any other marketing effort, ROI should be tracked very closely as it tells you whether or not you are making money on your current venture. 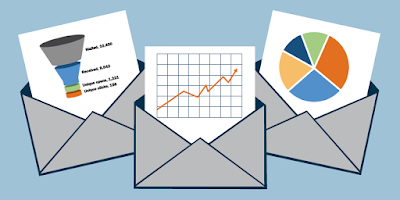 While the other metrics listed above are great for you to look at when you are deep in the data weeds, ROI is a very easy way to show just how well things are performing and to show how effective email marketing really is. Sendlane™ makes it incredibly easy to track all of these important metrics, along with many others that you may be interested in looking at. We provide all of the analytics and data you need to track the success of your email marketing. Sign up for a free two week trial here to find out how we can help you get the most out of your email efforts! Let us know in the comments how you have used metrics to improve your email marketing. Also, please help us spread the word by liking and sharing this post!